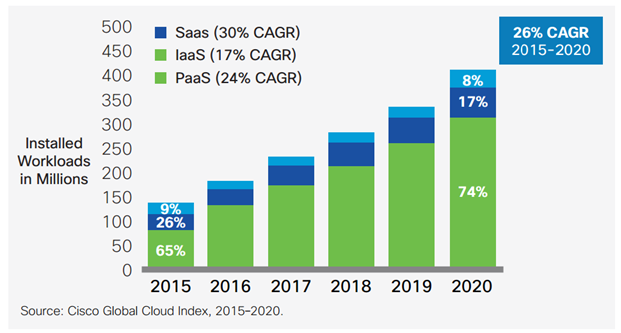 The worldwide SaaS market is set to grow 18 percent in 2017 to total $246.8 billion, up from $209.2 billion in 2016, according to Gartner, Inc. The highest growth will come from cloud system infrastructure services or infrastructure as a service (IaaS), which is projected to grow 36.8 percent in 2017 to reach $34.6 billion. To make healthy returns on their investments, private equity firms now have to prove they can play ball in this new arena. The recurring-revenue model is an attractive feature within software as a service (SaaS) companies, which are now prime investment targets for private equity fund managers. 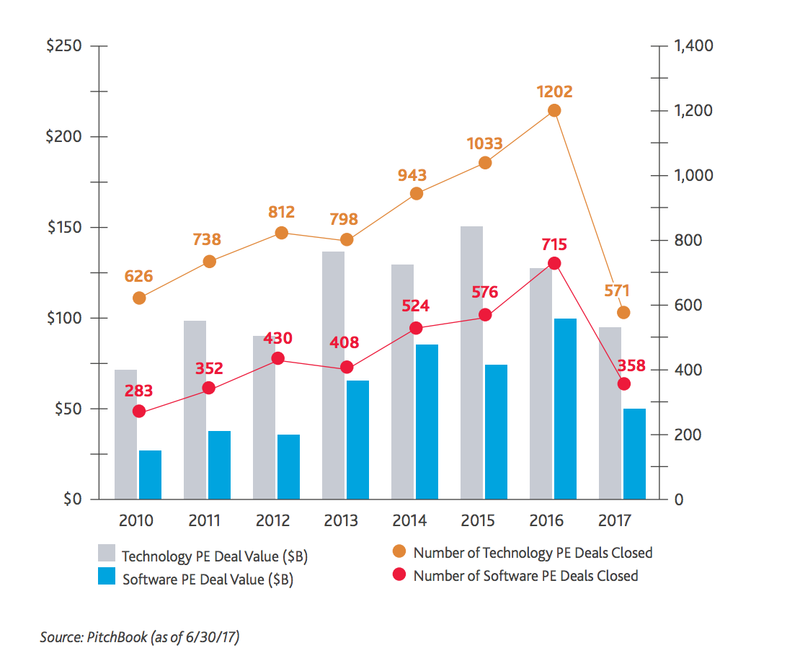 Private equity (PE) SaaS deals grew 217% between 2010 and 2016, showed data from PitchBook Data LLC, a Seattle-based private equity research firm. The subscription-based revenue model pioneered by software giants like Salesforce and Adobe offer two sides of value within the transaction. From the customer side, subscription models allow an enterprise to date a company before completing a full-on company wide integration. For middle-market companies, the subscription system makes implementation cost efficient. For smaller companies or startups, the subscription model or pay-as-you-go system lends small teams the same tools within a larger more complex enterprise for a percentage of the cost.In most cases SaaS companies charge by the seat or by user. This not only levels the playing field, but offers SaaS companies a wide range of target customers. As for the SaaS company itself, selling by subscription allows you to collect, own, and tax your customer’s data. In most cases when a company enters into an agreement with a SaaS company, if they choose to leave they will no longer have access to data associated with the software solution. This is a critical revenue generator when it comes to solutions such as customer relationship management systems (CRM’s) business intelligence solutions (BI) or enterprise resource planners (ERP’s). Essentially if a company were to migrate or switch systems, they would need the subscriptions to overlap in order to export and re-import their customer data. Some business intelligence (BI) platforms withhold your data if you cancel your subscription, or decide the tool is not worth the money. This sort of gate-keeping is primarily what has attracted the interest of private equity tycoons worldwide. 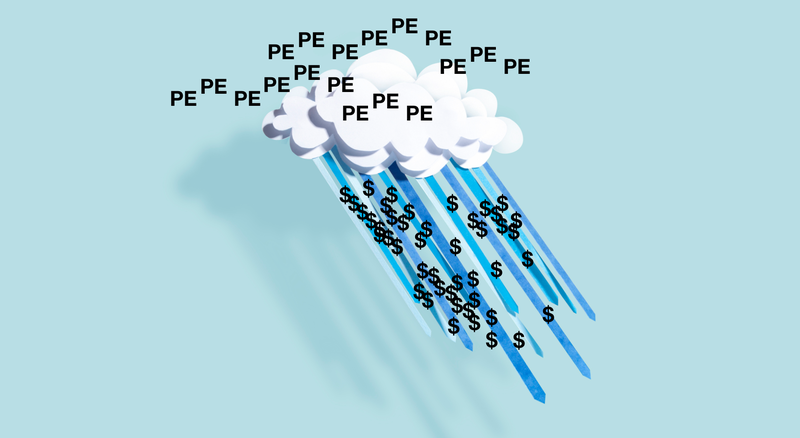 Jason Lemkin explains in his latest article titled “The Rise of Private Equity in SaaS: A Gift to Founders”, PE firms are targeting $10m+ annual recurring revenue (ARR) businesses and offering the founders a straight cash transaction. PE firms are able to purchase these companies for 2x-5x their annual recurring revenue (ARR) multiple, bring in an experienced management team, and sell the company within a few years for 3x-10x their initial investment. If the portfolio company were able to simply continue growth for 2–3 years, the PE firm would experience a significant return on investment by simply holding the asset and consulting on growth practices to keep it the company healthy. In most cases, larger enterprise SaaS companies rely on multi-year contracts with built-in renewals. Software implementation time, employee training, and company data sets are all reasons why a company would simply auto-renew and stick with the current solution rather than discontinue their contract and restart the process all over again. This behavior is what makes PE firms attracted to the contained risk associated with most enterprise SaaS companies. Are you looking to improve efficiencies within your team/business? Let’s schedule time to chat. To read more of my thoughts around enterprise solutions, market trends, and data — follow me on Twitter. If you enjoyed this story, please recommend and share to help others find it! Strategy Consultant | Follow for insights around Tech, Consumer Data & Business Analytics.